Did you know that the art of Yayoi Kusama (whose work has become affectionately referred to around our office as “dotty”), is coming to a museum near you? Widely known for her international collaboration with the French luxury brand Louis Vuitton (and curated by LV’s former creative director Marc Jacobs), the pioneering, Japanese, multi-disciplinary artist Yayoi Kusama’s personal work is now drawing similar outsized attention. Her solo show, now beginning to stride its way through four major museums across the U.S. and Canada, has so far been a sold-out affair. Lineups consisting mostly of uber-enthusiastic, selfie-taking Millennials have made it very clear – this is a show to see and be seen at. 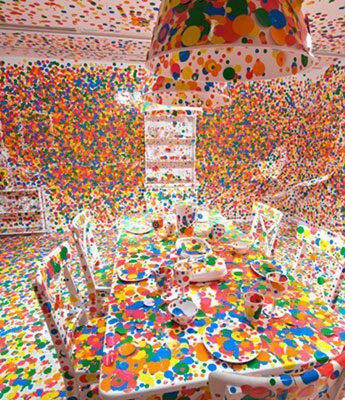 Perhaps it was her whimsical collaboration with Louis Vuitton in 2012 that brought Kusama to the forefront of our collective consciousness. Whether one is a fashion or art enthusiast seems irrelevant. 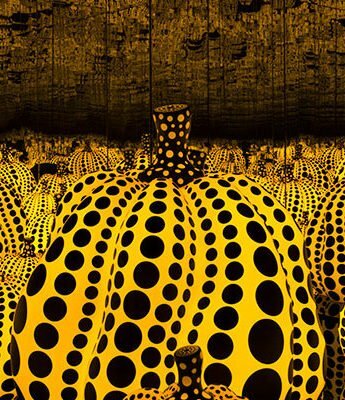 Kusama, who was pretty much unknown outside of Japan before 2012, is now close to becoming a household name in culture-hungry circles across the western hemisphere. 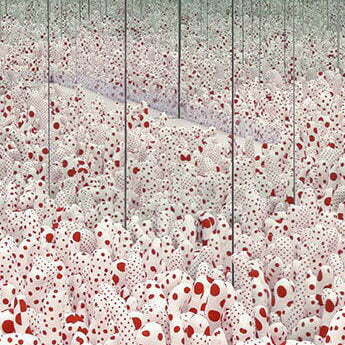 Without a doubt, Kusama’s work captivates. Whether it’s a pumpkin dot handbag or a pumpkin dot room, her work embodies a sense of bounding playfulness and joy. It’s an effect that’s hard to replicate – intimate, jubilant and deeply immersive, all at the same time. 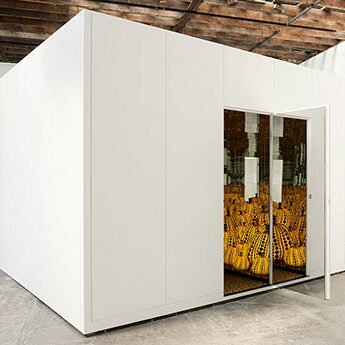 Which makes it not at all surprising that huge crowds have been drawn to cue up at the doors of Kusama’s six infinity mirror room exhibitions to experience it themselves. Yet, after exiting the exuberantly whimsical rooms and entering the Kusama-themed museum shop, one cannot help but notice a distinct dip in originality and newness. Unlike Kusama’s invigorating work, the gift shop merchandise feels stale, predictable and repetitive. Perhaps it’s understandable for museums facing budget restraints to succumb to time-worn merchandising tactics. However, not seeing the sales-generating potential of offering products that are equally as dynamic as the art they pay homage to seems like a blind spot. Perhaps a helpful lesson in creating more intriguing and desirable merchandise can be learned from Naoshima, an island town by the Japanese Seto Sea. It’s a place that happens to be highly familiar with Kusama’s work. 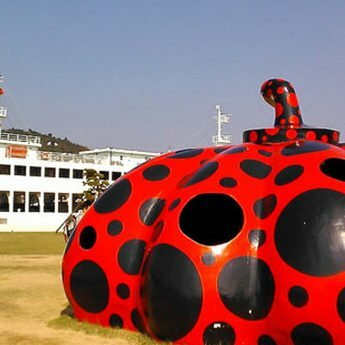 In fact, one of the main reasons Naoshima has become a tourist destination itself is the town’s fascination with Kusama’s art; none other than one of her sizeable red pumpkins greets its visitors as soon as they step off the ferry. 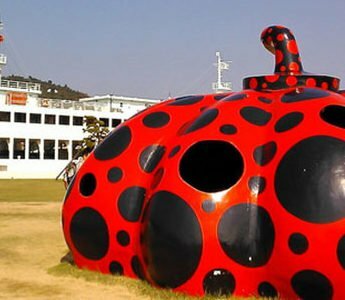 Kusama’s pumpkin has not only become a symbol of the town, it’s also become a source of endless inspiration to the local kids. 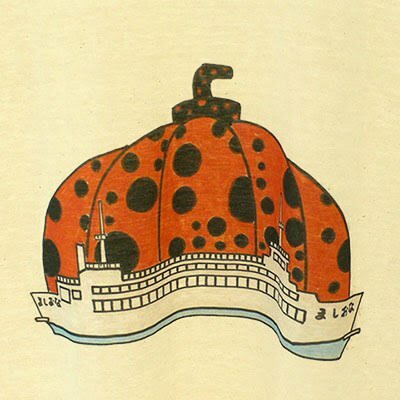 When I visited Naoshima a few years back, the local ferry gift shop had a collection of t-shirts and drawings on display, all interpreting Kusama’s dotty pumpkins. All the items were drawn by local kids and had become an attraction of their own. It was striking how such a low budget project could have such a great and reverberating impact. Never underestimate the power of unconventional art collaborations, even on the smallest scales. Like this one, they can easily become the talk of a town – school, kids, parents and tourists alike. Nothing stands between a museum and a local school to collaborate and create something truly exceptional and relevant, and in this case, to promote the vision of an artist of such immense significance as Kusama. One simply has to remember, it’s not deep pockets but imagination and courage that are required to make beautiful things happen. Yayoi Kusama’s Infinity mirrors will be at the Seattle Art Museum till September 10, 2017. 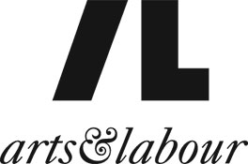 It will then continue at The Broad in Los Angeles from October 2017 to January 2018, then at the Art Gallery of Ontario, from March to May 2018, and finally at the Cleveland Museum of Art from July to October 2018.